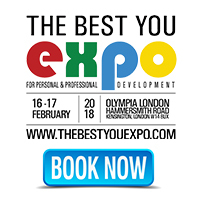 I will be speaking at The Best You EXPO, taking place on the 16-17 February 2018 at Olympia, London. I am hugely excited to be part of this event which showcases the best and the brightest in personal growth, professional and business development as well as wellbeing. My good friend Bernardo Moya is putting on the event after the tremendous success of last year”s Expo and it is looking as if we will be exceeding all forecasts for attendance already! If you want to find out more you can visit the website, and make sure in any case that you put the date in your diary, as I’d love to meet you there in person. I will be speaking on How to develop and monetise your million dollar personal brand to skyrocket your business. Have you ever wondered – why some businesses are snowed with customers coming to them and requesting their services and why some businesses struggle to attract the right audience? Your authentic impactful personal brand is the success key to attract the ideal customers and skyrocket your business. I help entrepreneurs and business leaders like yourself to sell without having to sell. To ensure that your ideal clients find you themselves, line up for your services and bring their friends along. 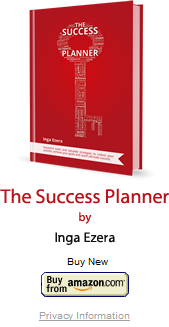 All this, through personal brand development, personal branding, content creation and social media strategies. People buy from people they know, like and trust. Through impactful and authentic personal brand development you ensure to get seen, heard and get well paid for the job you most love doing. Before signing up to speak at The Best You Expo, I had a slight hesitation – as there are so many business and personal development expos, how is this different? Why take part in this one? But when I looked at the agenda and themes, as well as the richness of development sessions and diversity of personal and business development subjects, I thought – this event is really worth being a part of. – And additionally – I know there will great deals available, well – at least I will offer a special bonus for action takers! Let’s meet there and have a chat at the Empowering Women area, stand 2. I will be speaking on Friday, 16 February 2018 at 12:00 on how to develop your million dollar personal brand so you can have customers and business partners lining up for your services and you can do the job you really enjoy and have the life you deserve. Your personal brand will market and sell it all for you. You just need to show up and enjoy delivering value for your clients. How great is that? See you there!